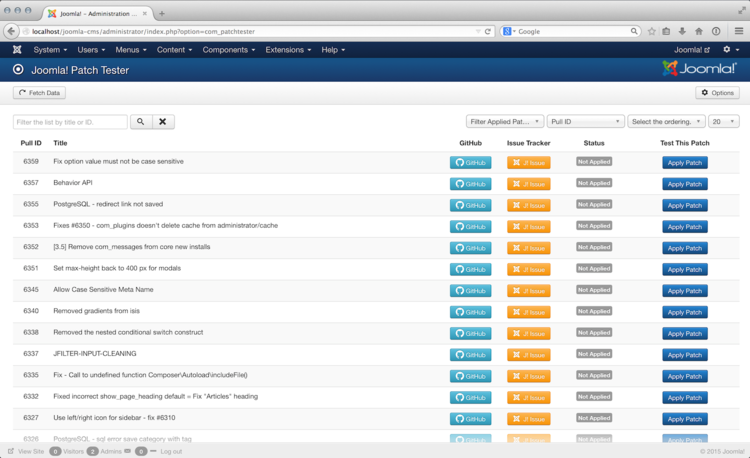 The patch tester component is an extension for Joomla! that allows users to quickly apply changes from GitHub pull requests and test them. Note: This video is showing example using old tracker. Please use http://issues.joomla.org/ for testing and reporting issues. The patch tester component was originally created by Ian MacLennan, and has been improved by Nikolai Plath and Michael Babker. This page was last modified on 31 August 2018, at 03:36.